From Plumbing to Drain Cleaning We Do It Right! Do you have Rain Water Flooding your basement, window wells, or crawlspace area? We can install One, Two or Three Water Sump Pumps System. We do Installations and Replacements. Water Damage Cleanup, Water Extraction, Drying of Basement Area, Crawlspace Area, Kitchen Area, Bathroom Area. Cleaning up as fast as possible can help mitigate the Health Effects of Water Damage on Everyone in a Home. Residential and Commercial 24/7 at No extra charge *Call for Availability*. Complete Service Plumbing and Drain Contractor, Licensed and Insured. Colorado Springs Drain and Plumbing Services is a Member of the Better Business Bureau. BBB Rated A+ doing Plumbing and Drain cleaning since 1989. You know the price before we start the job. Our plumbers use shoe covers to prevent tracking dirt in your house. Experienced Plumbers, Reasonable Prices. Serving Colorado Springs and all Surrounding Cities: Broadmoor Area,Cheyenne Mountain Area, Fountain, Security-Widefield, Colorado Springs, Falcon, Peyton, Manitou Springs, Gleneagle, Monument, Blackforest. 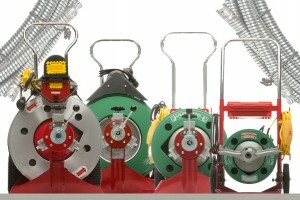 We use Spartan, the best professional drain cleaning equipment in the plumbing industry. *From outside house cleanout access only, roots extra, one drum of cable only. A second drum of cable extra .Offer can not be combined with any other coupons,mention this ad at time of service only. *3 inch or 4 Inch Accessible Cleanout only. Toilets, Crawlspaces extra. Recording DVD or Locating Sewer Line extra. Commercial Buildings extra. Offer can not be combined with any other coupons, mention this ad at time of service only. On Wednesday evening, I was having a back up in my toilet and bathtub in the basement, the plumber came to my house. He checked everything, after analyzing the problem; he gave me the price. The price was reasonable and I authorized him to do the job, he was here for a long time and I saw when his cable pulled out a lot of small roots out of my drain, he suggested to keep a maintenance to my drain, depending on how fast the roots begin to grow again. I do recommend this company. I called this company on Sunday around 4:00pm because my water heater was leaking and the plumber was at my house within the time promised. He gave me an accurate price before starting the job and my husband and I authorized the work. The plumber replaced my very old water heater and also made the required updates. He vacuumed all the water and left everything dry and clean. I will recommend this company to my family and friends.